We all get older. When this happens, we reach a point where our vision is not what it was in the past. Also, our reflexes start to slow, and we are not able to react as fast as when we were younger. And in many cases our memory starts to fade, and we forget what we are doing. In addition, when we age we start having other medical events which can present problems as we get older. All of these factors can be reasons why elderly people may not be able to drive or should not be able to drive. The decision to stop driving is one of the most difficult decisions that the elderly and their children face. Not being able to safely drive can be difficult for senior drivers. For decades they have had the independence that they needed to drive when and where they wanted. Now they are facing a decision where they may not be able to drive. This is especially difficult for children of elderly parents who may need to have the discussion about whether they can continue to drive, or to take the keys from them. Careful consideration must be made before the decision can be made. To help parents and children make the proper decision, they need to research the subject to make an informed decision. To assist in the decision, we have assembled a number of helpful pages. We hope that this can help you or someone you know. For someone who wants to be involved in serving their community, helping the elderly is a great place to start. Whether you just want to help others or you need to find a community service project for a church group or school project, there are plenty of opportunities to help end senior isolation, hunger, or depression by providing services such as grocery delivery, yard work, starting a handiwork club, teaching computer skills, or simply making a friend. Connect with a like-minded organization that specializes in matching volunteers with particular types of service opportunities, or lead your own initiative with family or friends. Whatever your age, you can make a difference in the lives of others. Chores like washing the car can be a lot for an elderly person to handle, but they’ll certainly feel happy to have a sparkling-clean car again. As medicine has made our lives better and improvements in treating medical problems, people are now living longer and have healthier lives. Despite the fact that we are living longer, it is still important to understand the potential problems that we face as we age. By learning more about the health challenges of the elderly, we can face these hurdles and address them so that the elderly can remain healthy. As we age, humans can, unless physically or mentally unable, take care of our health needs. We know when we need to eat, sleep and when we need medical attention. When we are young, we rely on parents to help with health needs. Once we are adults we can take care of ourselves. But, when we get older the ability to care for ourselves can be difficult and we more often than not need help from others. This can be in the form of nursing home care or at home nursing care. The care for our elderly is an important function of health care in today’s world. As people live longer, the stress on the health care profession is greater. The care for the elderly, also known as eldercare, is important for continued good health for people. To learn more about eldercare, we have listed a number of helpful resources. We hope this information provides you with a better understanding of the health needs of the elderly, and how we can help them lead longer, healthier lives, either at home or in nursing homes. When you type on the computer, do you look down and search for every letter on the keyboard before striking it? This hunt-and-peck style of typing is much slower than the proper method, called touch-typing. Proper keyboarding can make you a much faster typist. That’s because your fingers learn where each key is, so they can type out words quickly using muscle memory instead of depending on your eyes. Learning keyboarding makes you not just faster at hitting the keys but also better at avoiding typos. Since you don’t need to look down at the keyboard while touch-typing, you can catch typos on the screen as soon as you make them and fix them right away. This saves time when you’re editing your document after writing it. Keyboarding skills boost your productivity, give you more job opportunities, and make typing less tiring. Proper typing is even healthier for you, since it improves your posture at the keyboard and reduces your risk of injuries such as carpel tunnel syndrome. Developing keyboarding skills and the muscle memory that comes with them is helpful for you to learn as early as you can, since you’ll need typing skills to write papers for school. Research says that students should begin keyboarding by the time they’re in fourth grade, which is when you’ve developed the hand-eye coordination for the job. In an emergency, staying safe often depends on having some type of preparedness plan in place. This is particularly true for senior citizens. Whether a person is in a senior care facility or living independently at home, clear steps should be taken to prepare for potential emergencies and their aftermath. When elderly individuals live in a nursing home, the responsibility for creating and implementing these plans is in the hands of the facility’s administration and staff. Seniors who live on their own, however, often must create a preparedness plan for themselves. During an emergency, people may find themselves in a situation where their access to necessary resources is delayed or limited. This may hinder their ability to refill medications or buy staples such as water or food. For this reason, one of the first steps in preparing for a potential emergency is to put together and maintain an emergency supply kit. This kit should include enough food to last each person in the home three full days. The food that’s kept in the kit should consist of non-perishable items in cans or sealed in waterproof packaging. A can opener and eating utensils should also be stored with the food. In addition, a three-day supply of water, one gallon per day per person, is recommended. Because seniors often have pets or service animals, extra pet food and water may be necessary, too. Computers are an invaluable part of modern society that’s become as standard as cars. Although they are now commonplace, when compared to telephones and televisions, computers can still be considered a somewhat new addition to the ranks of household consumer electronics. While it may be difficult to find a home or a business that does not have some type of computer, some individuals still do not use or feel comfortable using them. Often, it is senior citizens who have yet to embrace this technology. While some elderly individuals are computer-savvy, these devices may seem foreign, complicated, and frightening to others. Whether a person is a senior who is contemplating the need to learn about computers or an individual who wants to teach an elder member of the family how to use one, it’s helpful to first understand how computers are useful. Frequent use of computers can help to improve a person’s mental agility, build confidence, and create a sense of independence. Computers can make life more convenient by giving the elderly a way to read the latest news, research health issues, pay bills online, and manage their finances. Pet therapy is a low-stimulation form of therapy for elders, especially those who live in nursing homes. There are many benefits to pet therapy, including increased self-esteem and increased mental and physical activity. As with other therapies, there are concerns to be taken into account. The main concern is often the responsibility that comes with owning a pet. This concern can be addressed through the type of pet therapy that is chosen. Visitation therapy, the most common, allows elders to visit with pets and experience the joys of having their company without the added responsibility of caring for them 24/7. Animal-assisted therapy is less common but more appropriate for someone who needs a more intense type of therapy to help with rehabilitation. Ownership therapy is another version of pet therapy that patients can be part of: This requires a mental and physical evaluation of the patient because it requires the patient’s ability to responsibly provide around-the-clock care for their pet, just as they would were they living independently. People live their lives by taking care of themselves, and in the case of parents, taking care of their children. As they get older, people begin to have difficulties in caring for themselves and need to rely on others to help with common activities. 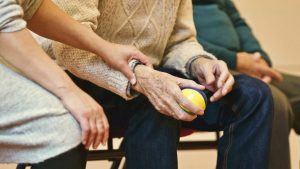 Physical or mental barriers may make it difficult for the elderly to take care of themselves. However, when people have others caring for them, problems of elder abuse can occur. As parents or grandparents get older, it is important for us to ensure that they avoid being a victim of elder abuse. 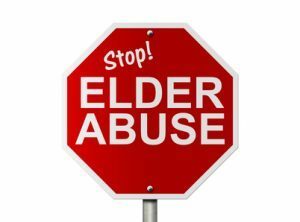 To learn more about elder abuse, and how this can be prevented, we have put together the following information. Please feel free to review the information and hopefully it helps prevent a loved one become a victim. At some point in our lives, we all must deal with the loss of someone we love. The loss may come after a lengthy illness, or it may come suddenly. Our loved one may have spent months or years in a hospital or nursing home, or they may live in our home. However it happens, we must cope with the person’s absence and deal with our grief. It is widely accepted that people move through five distinct stages as they deal with grief over the loss of a loved one. The five stages of grief are sometimes called the Kubler-Ross model after the Swiss psychiatrist who developed the theory, Elizabeth Kubler-Ross. This model set forth a series of emotions people go through as they grieve, including denial, anger, bargaining, depression, and acceptance. She introduced this model in her book On Death and Dying. Her model was developed as a result of work she did with terminally ill patients. The stages are not a linear progression, and some people may not experience all of them, but they are a framework to understand what we are feeling when we experience a profound loss.